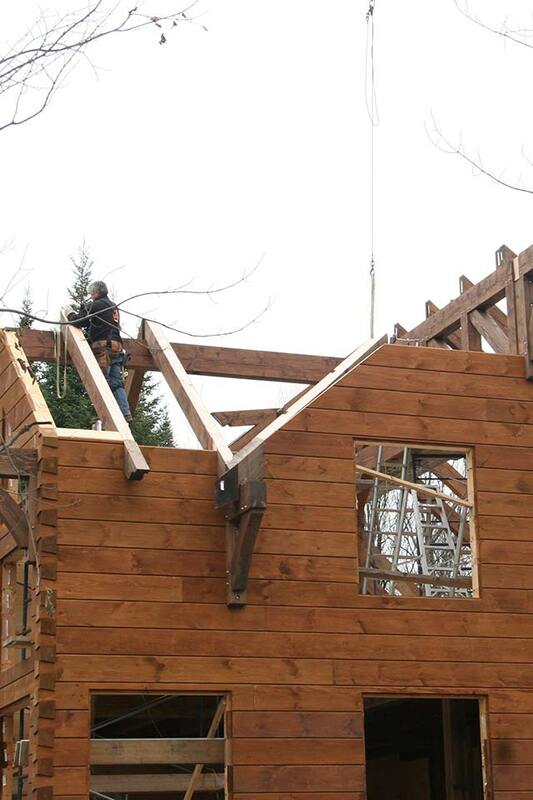 Bois Hamel started in 2010, when Nicolas Hamel created a division inside the family company Clermond Hamel Ltd, that specialises in the design of solid wood structures and the manufacturing of log homes. Since the start of this division, Nicolas’s vision hasn’t stopped growing towards his objective of serving his customers, contractors, architects, designers and home owners, but also of helping them meet the challenges of using wood in their projects. His goal was to offer the technological opportunity of manufacturing wood structures in Beauce, something that couldn’t be done anywhere else in the province, or that couldn’t be done without lengthy delays. Bois Hamel is your privileged partner for all your residential, commercial and industrial projects that feature the noble and timeless qualities of wood. The company offers quality services for the development of innovative projects. Our team of experts, the latest technology and modern facilities are teamed with a high production capacity! Bois Hamel unites quality, precision, workmanship, technology and service to be the benchmark for the most distinctive projects!